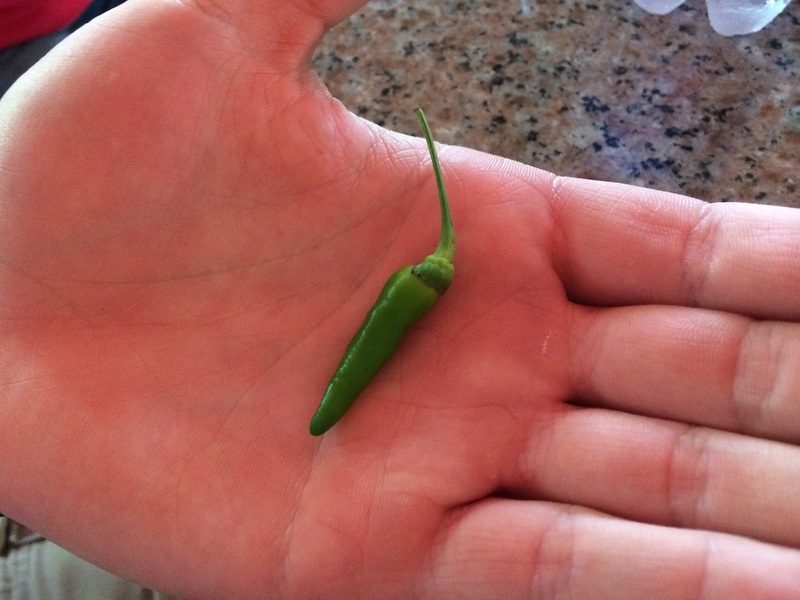 My brother decided to eat a hot pepper while he was on Vinpearl Island near Nha Trang, Vietnam. He did not know that the time, but they call it “The Danger Pepper.” Granted, he asked Hang about how hot it was, comparing it to the hot sauce on the table. Apparently the answer he received wasn’t quite correct after all. The pepper’s name translates to “The danger pepper”, and it was apparently much hotter than the hot sauce. It’s just a tiny little pepper they normally place in their soup to increase the spiciness of the meal. Normally, just a single pepper can increase the spice for the soup, but they don’t normally just bite half of it (eating, of course, the seeds as well). Previous story We’re Off To Nha Trang and Vinpearl Resort! Poor Nick. I hope he has recovered. Gotta say, the video is funny. Thank you for the laugh. Oh my goodness, I bet it about fried his brain!!!!!!!!!!!! LOL…..bathroom time may be a tad tough too…lol. Man, for some reason my phone won't let me watch it. Grrr! Oh he definitely wanted milk! You can hear him say it right at the very end too. Yeah, totally recovered after a short time. It's an ongoing joke here around meals though. That part will take a little longer to recover from.